Glenrothes Distillery was built by James Stuart & Co in 1878. The first whisky spilled on 28th December 1879 - the same day as the Tay Bridge Disaster. After a shaky start, Glenrothes merged with Bunnahabhain in 1887. This resulted in their whisky being used in blends for The Famous Grouse and Cutty Sark. In 1897, the highly flammable nature of Glenrothes Single Malt resulted in a distillery fire causing serious damage. This was made worse just six years later in 1903 when an explosion caused further damage. Further fires in 1922 and 1962 would cause more damage, resulting in an opportunity for the distillery to expand. 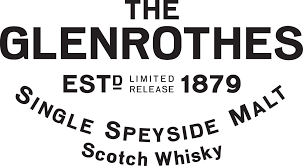 From 1963-1986, Glenrothes Distillery expanded from four to ten stills. Not only was the distillery benefitting from the 1960s whisky boom, they also managed to continue expanding during the slump in the 1980s. In 1993, London wine merchant Berry Brothers rereleased Glenrothes whisky as single vintages. Bottles were no longer determined by their age but by the year they were produced. In 2010, Edrington purchases the Glenrothes brand, and later purchases both the brand and distillery in 2017. The Select Reserve is their core product. No age or vintage is given, departing slightly from Glenrothes’ traditional methods of selling their scotch. It is a sweet whisky with fruity and spicy notes. A twist on the Select Reserve is the Sherry Cask Reserve, an even fruitier scotch with a sherry character. You can purchase a selection including their select reserve alongside their 1991 and 1994 vintages. The 1991 is a smooth, leathery whisky with sweet notes and the 1994, whilst also sweet, has citrusy lemon and grapefruit notes. The Glenrothes 1992 adds an orange marmalade tang to their signature sweet scotch range. There are also underlying dark chocolate notes and a lasting, nutty finish. We also have whiskies from 1984 and 1989. The 1984 vintage has a floral character and a deep sherry finish. The 1989 is one of the spiciest whiskies of all the Glenrothes vintages. The rarest whiskies from the distillery are the 1976 Brothers Casks 39 Year Old bottles. Only 227 and 217 bottles of each were ever released and initially given to only 10 customers. Matured in an American Oak Cask, each bottle is also presented in oak packaging and comes with a leather bound book describing the whisky and the year it was distilled.